Resync button has been added to the Render View (HDR Light Studio). When using HDR Light Studio standalone - the resync button will reload the current scene back into the Render View. 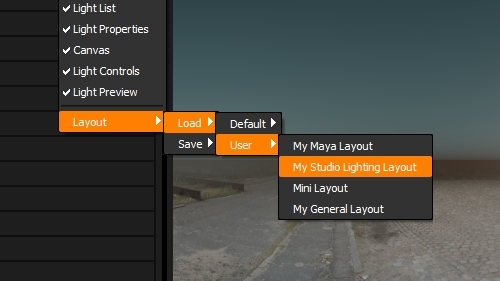 When using HDR Light Studio connected to a 3D app - the resync button will open the 'Import Scene Geometry' panel - so you can re-import the scene from your host 3D software. This is useful if you have made changes to the scene in your 3D software. Octane 4 has now been tested and we can confirm is compatible with our 3ds Max, Maya, Cinema 4D, MODO and Rhino 6 Connection. Fixed bug where initial state of lighting shared with Modo was black until one lighting change was made. What's New in Carbon Drop 4? What's New in Carbon Drop 3? Redshift is now supported in the Houdini Connection. Now supports area light creation and control, plus Redshift. 3ds Max Connection updated to support V-Ray Next. Carbon 2 brings core new features for all HDR Light Studio users (whichever plug-in connection you use), allowing the creation of lights with more character and providing more creative lighting control. Additional enhancements make lighting even more productive. New buttons have been added to the brightness slider. They provide a more photographic approach to adjusting the light brightness. They work by adjusting the brightness relative to it’s current value. So you can double, halve, increase by 1/3 or decrease by 1/3. This is a really useful addition when an art director wants a light brightening by 1 stop for example. (Double the brightness). Value Blend has been added to the Light Properties panel. It allows blending of the luminosity values from a secondary piece of content with the primary light content. It provides a way to tweak the character of the light source. For example adding a hot spot into an existing soft box, or graduating the light brightness across your light. It can also be used to clamp the brightness within an image, for example clamping the brightness of the sun in a HDRI map. Box Gradient is a really useful new content type in HDR Light Studio. It blends a vertical and horizontal ramp. It’s perfect for softening edges or creating a light with an really interesting character that will enhance your reflections. It is perfect to use on Alpha Multiply or the new Value Blend. When we released HDR Light Studio verison 5 we made it easy to use, so the toolbar created simple lights with fewer settings. But many users don’t take advantage of converting them to Uber Lights that provide far more flexibility and creative options. So in this release all lights are now created as Uber Lights, which include the Alpha Multiply and Value Blend settings. A tool has been added to the tool bar on the Render View (HDR Light Studio) for region zoom. This was available previously only as a keyboard shortcut. Region zoom is great for positioning lights accurately on small details within the shot. Using the buttons on a light in the Light List (on/off, solo, etc) no longer selects the light. It was common for a user to turn off a light and not expect it to be selected, and move a newly hidden light by accident for example. The new behaviour avoids this problem. Big performance increase with production renders containing lights using gradient ramps (which is many light types), especially large lights. Additionally lighting designs containing many small lights will see significant render speeds too, with smarter use of render threads. What's New in the Carbon Release? Pressing the Play button on the new Render View will start an interactive rendering session in the connected 3D software and display the image in the HDR Light Studio interface. Use LightPaint to click on the render to position lights and see the external render update instantly inside HDR Light Studio. Drag and drop Preset lights too. • Ideal for users with a single display – everything needed to create perfect lighting is now available inside HDR Light Studio’s interface. No need to juggle two interfaces. • For many lighting tasks, HDR Light Studio’s own renderer is no longer needed and can be closed. 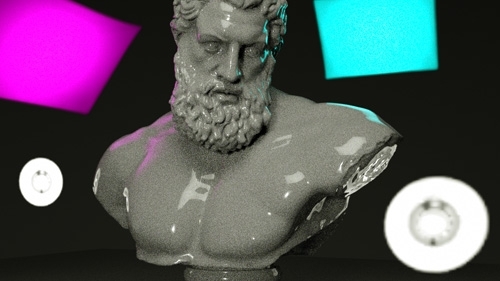 Freeing resources for your main 3D renderer during your lighting session. • Working directly on the final render enables better lighting decisions – seeing the light interact directly with the final shaders inside HDR Light Studio. Area Lights performance has been significantly improved in HDR Light Studio’s own 3D renderer. Area Lights are now created, adjusted and soloed instantly - even when loading huge 3D scenes. This inbuilt renderer is the perfect pre-vis lighting tool when IPR updates are too slow in the connected 3D renderer. 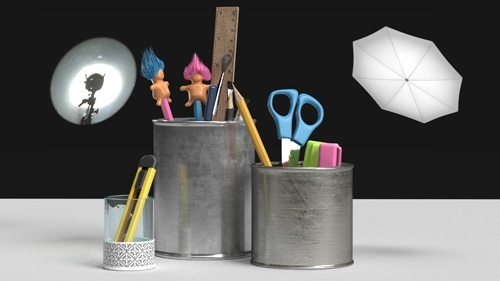 HDR Light Studio is now even easier to use with 3ds Max and Maya. The plug-in now creates the lighting setup for you - simply press Start and begin image based lighting. Bringing the 3D scene into HDR Light Studio is also a click away - press Play and the scene will be automatically imported. • HDR Light Studio interface layout is stored on a ‘per connection’ basis. Ensuring a preferred interface layout is loaded when using HDR Light Studio with different 3D software. Critical Bug Fix: Issue fixed where rotations are broken when importing pre v5.3 project files. Added support for Redshift renderer in 3ds Max. Render View now supports transparency for Area Lights. Rear of area lights have a light icon image mapped to them, to identify the back of light. Critical: Issue Brightness slider/value displaying incorrectly in the interface for brightnesses over 2000 after switching lights. Critical: When loading projects from eariler versions, 5.4 would disregard the lights rotation setting, giving all lights a rotation of 0. Fixed Maya/Arnold - HDR Light Studio production render content coming through in the wrong file format. Increased sky shader sampling for more accurate colour - this is slower to render as a result. The cursor is now updated to indicate which tool is active when using the Canvas, Render View and Light Preview. Double click on any slider label text to reset the slider to its default value. 32 additional Studio Light Sources have been added to the Preset library. There is a new menu command that can be used to convert any selected light into an Uber Light. For example, the user may place a Picture Light from the tool bar, and decide they want to add an alpha to the image. This is only possible when using the Uber Light, therefore using ‘Edit > Convert to UberLight’ allows the light to preserve all of the light’s settings, and gain the flexibility of being an Uber Light with more properties available to change. Users can drag lights using LightPaint on the Render View, and experience continuous updates to the Canvas and Render View. New Area Lights can also be moved, scaled and rotated with continuous updates in the Render View. New button in image content, to adjust the height of the light to match the image's aspect ratio. Users can now easily see what licenses they have installed and when they will expire. The new License Management panel displays both main app and connection licenses, their type, expiry date (days left), plus the last build date that the licenses will run. 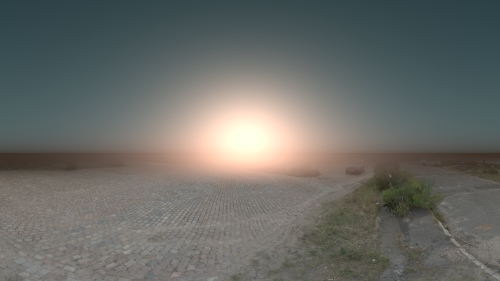 Canvas view has been flipped horizontally, so the user is now looking at the HDRI map from world origin. Therefore when area lights are added, the Canvas is an accurate view of the lighting scene from the world origin viewpoint. Support for specifying the fresnel as an IOR. Display LUT is active during camera moves. 3d scene file slot, and the background image file slot both support dragging and dropping files from the OS. Performance has been improved when moving the camera. New Fit Scene to View button for Freecam mode. The time in the Render View is now specified as a frame number, which is more useful for a 3D artist than the seconds that are embedded in an Alembic file. Therefore we have now added a FPS setting in the Render View, so the user can input the frame rate for the shot. Added Tilt Camera Tool for Freecam mode. Added checkbox for toggling floor plane on and off. New optional settings for the additional output of Thumbnail PNGs for lights, Render View PNG, and a Saved HDR Light Studio Project File. New keyboard controls to change the sensitivity when dragging. New Smart Dolly button, click and drag and Smart Dolly selected area light. more responsive. Default sample level is now 80 samples. 'Ctrl Left Click' to zoom into an area of the render view. 'Ctrl + 1' for Reflection, 'Ctrl + 2' for Illumination, 'Ctrl + 3' for Rim. Render View image can be saved as an EXR - Project > Save Render View Image. Default display LUTs can now be globally set in the Preferences panel. in the Light Properties panel, rather than browsing for the image. New Houdini Connection - supports Houdini 12,13,14, Mantra and Arnold. 3ds Max Connection adds support for Corona. Cinema 4D Connection adds support for Arnold and Thea Render. MODO Connection adds support for Alembic scene export. Significantly improved HDRI lighting updates performance with plug-in connections - particularly Maya/MODO with Mac OSX or Linux. Fixed crash bug with Wacom tablets on Max OSX.